Diplodocus was a massive plant-eater (herbivore) that lived in the Jurassic period, 155 to 145 million years ago, in North America. Diplodocus was usually around 85 feet (25.9 meters) long, although some specimens were as long as 100 feet (30.5 meters). Most of its length was taken up its 24 feet (7.3 meters) neck, and its 46 feet (14 meters) tail. Its body was only about 13 feet (4 meters) long, and its head was comparatively tiny, just 2 feet (60 centimeters) long. Diplodocus probably only weighed around 11 tons, about one third as much as Apatosaurus, and only about one eighth as much as Brachiosaurus. The first fossil skeleton of Diplodocus was found at Como Bluff, Wyoming by Benjamin Mudge and Samuel Wendell Williston in 1878. This specimen was named Diplodocus longus (meaning "long double-beam") by Othniel C. Marsh. Fossils of Diplodocus are common, and many other specimens have been found, except for the skull which is usually missing, even from otherwise complete skeletons. Othniel C. Marsh, originally suggested the creature was probably aquatic based on the position of the animal's nasal openings in the skull. However, this theory has subsequently been discarded based on the fact that the water pressure on the animal's chest wall would have made it impossible for Diplodocus to breathe. An alternative explanation for the position of the nasal openings that has been proposed, is that Diplodocus may have had a trunk. However, research regarding the animal's facial nerve and positioning of Diplodocus' nostrils does not seem to support this theory. When Diplodocus was first discovered, it was often depicted with its limbs splayed in a sprawling lizard-like posture. This theory was also rejected: in this case, W. J. Holland demonstrated, that because of the great size of the animal's rib cage, a sprawling posture would have meant that the animal could only walk with the help of large trenches to pull its belly through! Although many depictions of Diplodocus show the animal with its head up high, some scientists now argue that such a posture would not have been possible, simply because the heart would not have been able to sustain the blood pressure necessary to get enough oxygen to the brain. Additionally, in further support of this position, it has been argued that the structure of Diplodocus' neck vertebrae would not have permitted the animal to bend its neck far upwards. Evidence has recently been found, suggesting that Diplodocus and its relatives may have had spines made of keratin on its back, perhaps similar to the spines found on modern Iguanas. Diplodocus is depicted with this feature in Walking with Dinosaurs. North American Dinosaurs - Diplodocus lived in North America. Diplodocus was a genus of dinosaur. "Diplodocus" means "double beam" (referring to double-beamed bones in the underside of its tail). The name was chosen by Othniel C. Marsh in 1878. Diplodocus was a member of the Saurischia ("lizard-hipped") order of dinosaurs. What this means, is that although Diplodocus was not closely related to lizards, it did have similarly shaped pelvic bones. Diplodocus was a Sauropod - a member of a group of related large quadrupedal herbivorous (plant-eating) dinosaur with long necks. Diplodocus lived between about 155 million years ago and 145 million years ago, during the Jurassic period. Diplodocus was a herbivore (plant-eater). Diplodocus is thought to have been a grazer, and probably could not have raised its head very far above the ground level. Diplodocus was usually about 85 feet (25.9 meters) long, although sometimes it grew as long as 100 feet (30.5 meters). Diplodocus weighed about 11 tons. Describes, in comic book format, the physical characteristics and behavior of diplodocus dinosaurs. Our Mini Dinosaurs series features adorable books die-cut in the shape of the dinosaur depicted in that story. Each board book is jam-packed with interesting facts, and every page is complemented by full-color illustrations that are handsomely rendered in a naturalistic style that will captivate kids (Mom and Dad, too). In Diplodocus, children discover that this gentle, giant dinosaur had shorter front legs than back legs, five-toed feet, and a thumb claw that it probably used to fight off enemies. Perfectly sized for little hands, this book is a fun, exciting, and interesting way to introduce children to this perennially popular subject. Just the right mix of dinosaur action makes this the perfect chapter book series for boys! Diplodocus fossils are some of the most commonly found dinosaur fossils, but scientists are still learning new things about these long-necked giants. Scientists used to think diplodocus lived in the water, but now they know these animals roamed the land and used their height to reach tall trees for food. What other mysteries have scientists unearthed in their study of this Jurassic dinosaur? Students will find out as they explore the world of diplodocus through this fact-filled volume, beautifully illustrated with full-color images. Explores what scientists have uncovered about Diplodocus. Colorful photos and illustrations help bring each dinosaur to life as easy-to-read text guides readers through important discoveries about its appearance, diet, and habitat. 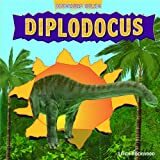 This title will help readers discover Diplodocus dinosaurs that lived in the late Jurassic period around 150 million years ago. Each title is complete with cool realistic illustrations, photographs of fossils, and a map of where Diplodocus fossils have been found. Aligned to Common Core Standards and correlated to state standards. Abdo Kids Jumbo is an imprint of Abdo Kids, a division of ABDO. The massive Diplodocus was one of the largest creatures around when it walked the Earth. When paleontologists discovered its fossilized bones sixty-five million years later, Diplodocus captured the imaginations of some of the richest and most powerful men of the time. Find out why this 'double-beamed' dinosaur continues to fascinate scientists and readers alike to this day. Hocus P. Diplodocus is not like other dinosaurs. He is the world's first magician! But as Hocus's powers grow, his fame grows too, and everything could go very wrong! This charmingly illustrated story about a magical dinosaur introduces young children to reading using leveled text. THE LONG DINOSAUR - Diplodocus is one of the most famous long-necked dinosaurs. At over 88 ft long from the tip of its snout to the end of its whip-like tail, Diplodocus is as long as three buses. This ground-shaking plant eater occupied North America during the Late Jurassic, about 153 million years ago. PRODUCT SPECIFICATIONS - This huge model is 18 inches long and 4.5 inches high. It is an eye-catching turquoise on top and cream below. Diplodocus is one of the most famous long-necked dinosaurs. At over 88 ft long from the tip of its snout to the end of its whip-like tail, Diplodocus is as long as three buses. This ground-shaking plant eater occupied North America during the Late Jurassic, about 153 million years ago. This well-known, long-necked dinosaur was named in 1878. Many Diplodocus skeletons are known from the Jurassic deposits of Colorado, New Mexico, Utah, and Wyoming. Some early reconstructions wrongly portrayed Diplodocus in a sprawling posture, but this would have required a trench in the ground to accommodate its deep chest. Like all Safari Ltd products, this figurine has been individually hand painted, features quality construction from phthalate and lead-free materials, and includes an educational hangtag in 5 languages. Realistic, educational, and fun, this figurine is suitable for a range of interests, including collectors, enthusiasts, teachers, and kids. Admire it on a shelf, use it in the classroom, or simply enjoy playing with it. This huge model is 18 inches long and 4.5 inches high. It is an eye-catching turquoise on top and cream below. Wild Republic Diplodocus Plush, Dinosaur Stuffed Animal, Gifts for Kids, Dinosauria 17"
Jump in your Jeep and take a Jurassic trip with this Diplodocus dinosaur stuffed animal from Wild Republic. These plushies are completely surface washable so you won't have to fret about any of life's spills and leaks. Did you know that a full-grown diplodocus could be up to 88 feet long? Luckily with this realistic stuffed animal from Wild Republic, You will not have to worry about that kind of size. These plush toys are 17 inches long, making it the perfect kids toy to take on the go. They also fit perfectly as a gift for kids, teens, or even as a Christmas gift under the tree. Everybody in the family will have a smile on their face when they see this animal plush in the house. These stuffed animals are also surface washable so you can rest easy knowing your plushier will not get ruined. Put a smile on your families face and get your very own lifelike stuffed animal today! Wild Republic has been developing plush animals and educational toys for kids of all ages since 1979, With a specialization in realistic stuffed animals. Tyrannosaurus-rex: ("tyrant lizard" and "king") was a large Theropod dinosaur. The animal was a carnivore (meat-eater), and lived in North America and Asia during late Cretaceous period, about 67 to 65 million years ago. It was one of the last dinosaurs, and probably went extinct during the the Cretaceous-Tertiary mass extinction. An average Tyrannosaurus was about about 39 feet (11.9 meters) long, up to 20 feet (6.1 meters) tall, and weighed around 7 tons. Diplodocus: ("double" and "beam") was a massive plant-eater (herbivore) that lived in the Jurassic period, 155 to 145 million years ago, in North America. It was usually around 85 feet (25.9 meters) long, although some specimens were as long as 100 feet (30.5 meters). Most of its length was taken up its 24 feet (7.3 meters) neck, and its 46 feet (14 meters) tail. Its body was only about 13 feet (4 meters) long, and its head was comparatively tiny, just 2 feet (60 centimeters) long. Probably it only weighed around 11 tons. The Diplodocus measures approximately 34cm from nose to tail and is approximately 19cm tall.The T-Rex is approximately 26cm from nose to tail and 13cm tall and has a moveable jaw. A life like rendition of dinosaurs for any child who is enthusiastic about all things DINOSAUR! 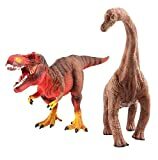 More Dinosaur Figures Available at deAO. 64677 features: -includes 4 Paintable Pieces, two paint brushes and six water - based, non - toxic paints. 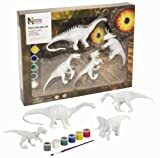 -Paint and play Dino Triceratops. 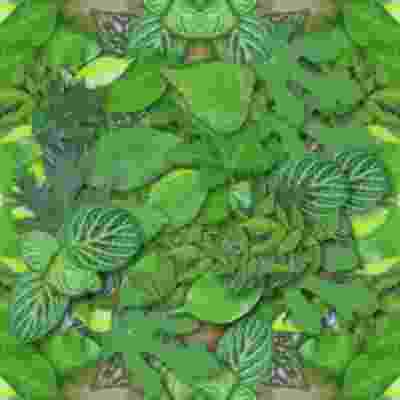 -Allows kids to explore the wonders of nature and let their imagination grow. -Material: plastic. Product Type: -art kits. Dimensions: overall product weight: -1.42 pounds. Overall height - top to bottom: -12 inches. Overall Width - side to side: -16 inches. Overall Depth - front to back: -2.25 inches. 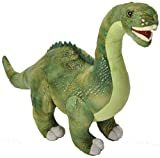 Wild Republic Glitter Dinosaurs, Diplodocus Plush Stuffed Animal Toy, Gifts for Kids, 21"
This 21 inch dignified Diplodocus stuffed animal is the perfect addition to any family. Toddlers, teen, and adults enjoy owning these marvelous looking plush toys either for play, kids bedroom décor, or educational use. Enjoy experiencing the many sounds of laughter, play, and excitement with plush toys from wild Republic. Diplodocus was the longest dinosaurs to walk the face of the earth. Small head and elongated neck are some of the specific characteristics that separate it from the rest of the Dino Kingdom. Soft, cuddly, surface washable and constructed of high quality materials, nothing gets better than that. Teachers love having dinosaur themed plush toys on hand to use as an educational toy for kids. Diplodocus is no longer roaming North America; with some imagination, this glitter stuffed animal will come to life like magic. Wild Republic has been developing animal plush and toys for kids of all ages since 1979, with a unique specialization in realistic stuffed animals. Diplodocus was the longest dinosaurs to walk the face of the earth. Small head and elongated neck are some of the specific characteristics that separate it from the rest of the dyno kingdom. Standout in a good way amongst your friends and family by bringing home this distinguished Diplodocus stuffed animal. Soft, cuddly, surface washable and constructed of high-quality materials, nothing gets better than that. Teachers love having dinosaur themed plush toys on hand to use as an educational toy for kids. Diplodocus is no longer roaming North America; with some imagination, this big stuffed animal will come to life and just think of all the crazy adventures one will have. Wild Republic has been developing animal plush and toys for kids of all ages since 1979, With a unique specialization in realistic stuffed animals.